Oil prices have risen on the back of concerns that Iranian output could plummet. 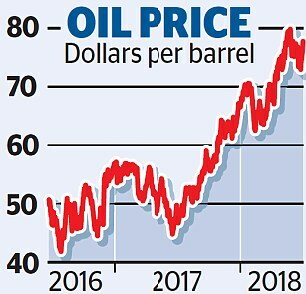 US oil prices rose to their highest level since 2014, as US West Texas Intermediate, which is a second benchmark for oil behind Brent crude, reached $74.03, its highest level since November 2014. Meanwhile, Brent crude rose to $77.85 a barrel. It comes after the US demanded all countries halt imports of Iranian oil from November, a hardline position the Trump administration hopes will cut off funding to Tehran. ‘If you’re having Iran’s oil taken off the market, then you have a decrease in supply. 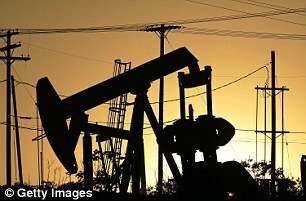 ‘That’s going to put more pressure on the price of oil to move up,’ said Mark Watkins, of US Bank.